Time for another makeover. 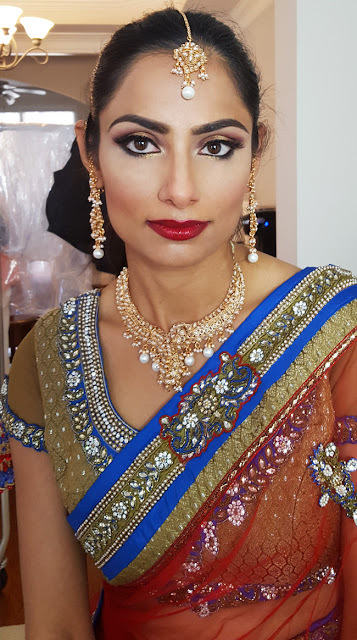 A few weeks ago I had a chance to put my bollywood makeup skills to test. 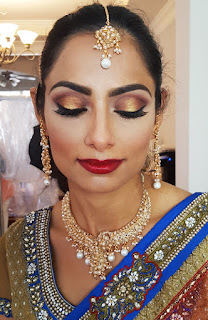 I love doing Indian makeup...super fun, bright colors and ultra glam. Check it out! First off, another "No Makeup" makeup look. Doesn't it look like she just got a full night's rest? But don't be tricked...there is makeup applied, done so for bringing light and evening out the skintone and emphasizing structural features such as the brows and cheekbones. Bring on the Glam...Bollywood style. Look at all the lovely lid space to work with! One of my favorite looks this year. I did a halo eye with red and gold and traditional ruby red lips. I'm a little obsessed with this look! 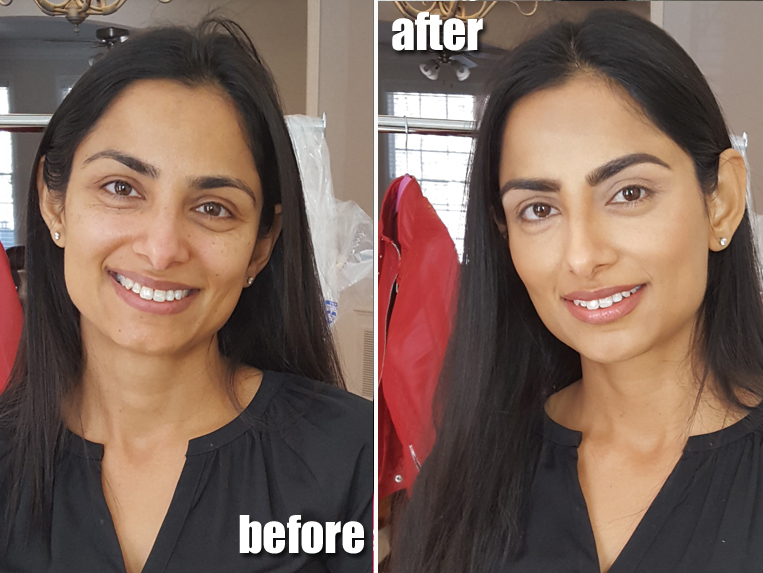 I hope you guys are liking this series of No Makeup Makeup into some ethnic glam transformation. More to come!